Several days after this conversation, I was talking with a friend who was looking for a new kayak. He was so excited, because he had found the perfect boat. It was a Coosa 14 made by Jackson Kayaks. It was designed for the exact kind of fishing my friend does, and it had all of the features he was looking for. I don’t have the expertise to say whether it was as great a kayak as he said, but he was sold. He showed me several promotional and customer videos extolling its virtues. As we watched the videos, I kept focusing on two things. 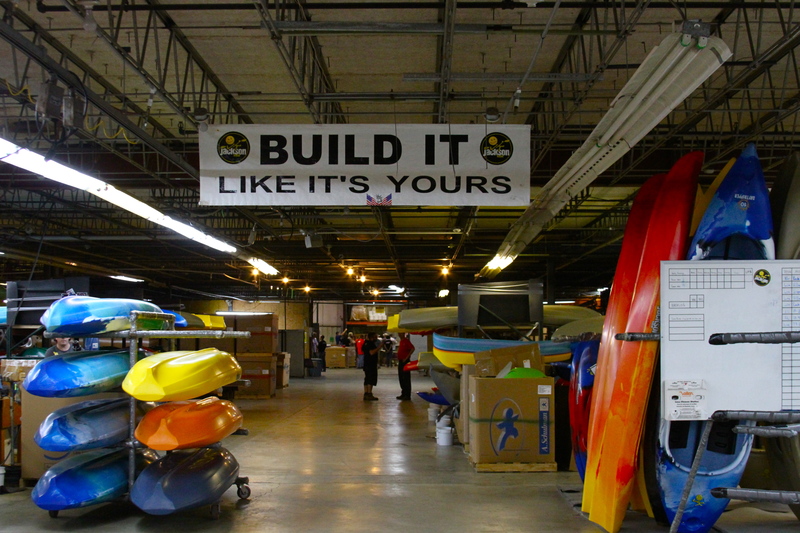 First, I noticed the signs hung prominently in Jackson’s factory – “BUILD IT LIKE ITS YOURS!” Every one of the employees interviewed was a kayaker, and so these words reminded them that the safety and enjoyment of their customers depended on the quality of their work. 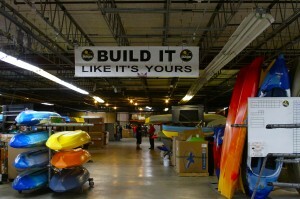 That insured that they were never just shaping plastic, cutting holes, or attaching fixtures. They were making a boat, one at a time, as if it were meant for their own use. That instills accountability. The second thing I noticed was the language many of the employees used. They talked in the first person. This wasn’t egotism. It was pride in their contribution to building an outstanding product. It was an articulation of each individual’s commitment to ownership and a culture of accountability. Every employee talked about their role on a team, but that team was comprised of accountable individuals. While reading Atlas Shrugged by Ayn Rand, I was struck by a passage that epitomized accountability. Following the successful completion of a seemingly impossible task, Dagny Taggert, the protagonist of the book, contemplated the meaning of ownership. “No, it was not made of papers, grants and permissions. There it was – in his eyes.” The point Dagny was making was that accountability lies within each of us as individuals. We can’t do anything to create or destroy it. We can’t make rules or pass laws that make people accountable. Rather, leaders have the opportunity to help others unleash it by rewarding behaviors that demonstrate accountability while removing anything that stifles it. The most important thing we can do is to live and lead accountably. Leaders who promote accountability show that the opportunity and rewards of ownership are worth the inherent risk it carries. Sometimes that means letting people know that it is okay to fail; other times it means revealing upside potential that risk-taking offers. Mostly it means being accountable ourselves. We can do four simple, yet challenging things to demonstrate our commitment to accountability. When things go well, accountable leaders focus the praise on those who made it happen. When things go wrong, leadership means embracing accountability by accepting the blame for the failure and seeking forgiveness from those to whom we are accountable. Accountable leaders focus their energy on fixing problems, not pointing fingers. Accountable leaders create leverage and build confidence by delegating and empowering others to live accountably. Taking ownership and being accountable can be scary, but without it, real leadership is impossible. What can you do right now to be more accountable? How do your actions create a culture of accountability? What one thing can you start doing that will demonstrate your personal ownership and accountability? What are the best examples of accountability you’ve witnessed lately? Share your thoughts and suggestions with the If You Will Lead Community.